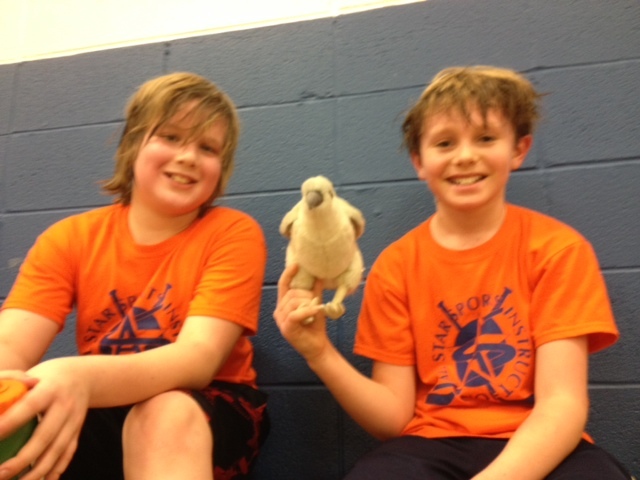 5th grader, AJ got to take Frank the Falcon home with him last week. 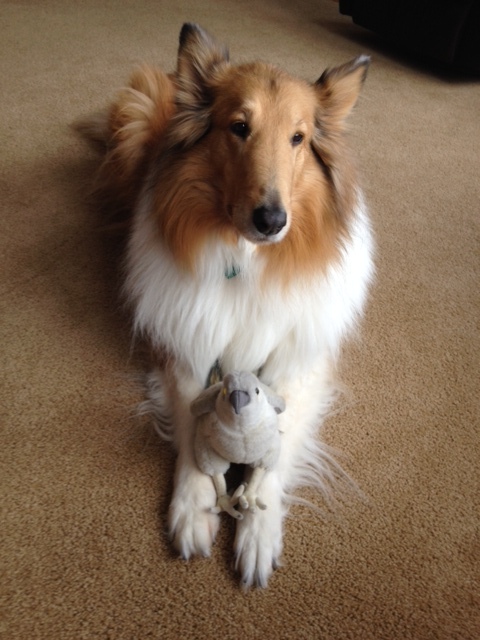 Here are some shots of their time together. 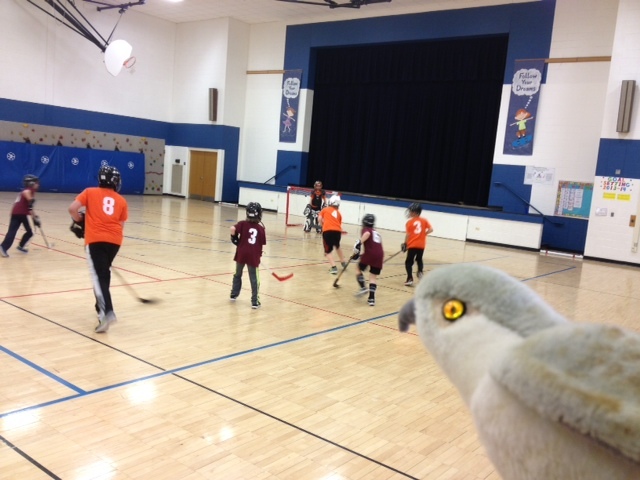 Here AJ and his teammates are playing a game of floor hockey against a rival team in the All Star Sports league at Western Avenue School in Geneva while Frank looks on. Here’s a picture of AJ (right) and Caden (left) with Frank after their hockey game. A couple of sweaty boys with big smiles after leading the team to victory! When they got home, Frank met AJ’s dog, Lady for the first time. 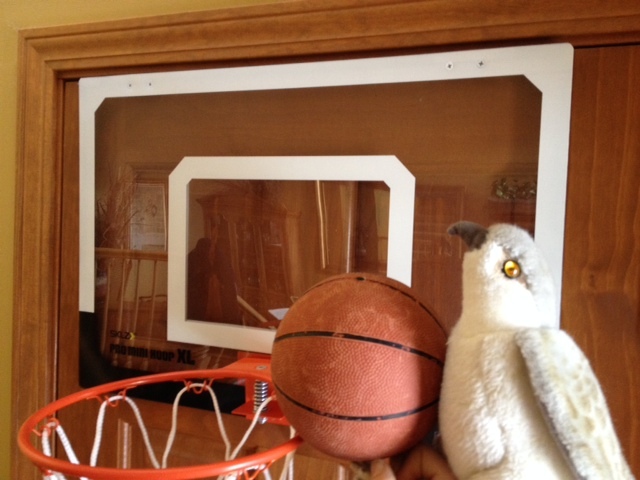 Okay, so he’s not “Larry Bird” of Celtics fame, but Frank can play a mean pickup game of basketball. Check out this slam dunk!